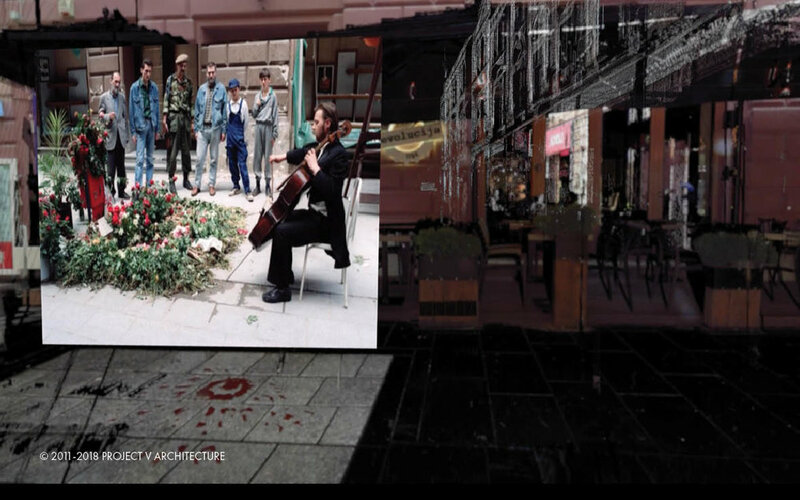 Living Memorials is an ongoing, open-ended research and propositional project which aims to rethink memorials and develop new forms of memorialisation in Sarajevo and BiH as a living process, which involves site specific investigation of urban-architectural evidence of past events and witness testimonies as a process of ongoing and participatory discovery of history, digitalisation and living memorialisation. projectvarchitecture have been exploring this in a number of ways and through a series of live, research, educational and propositional projects. This is an ongoing and key part of our work. See one of the below for more information on each specific project.